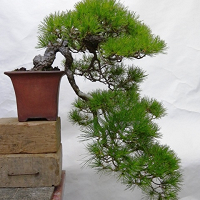 This delicate cascading Red Pine was a project started during my apprenticeship, beginning when the tree was purchased by The Chief, Mr. Kobayashi, in preparation for the coming New Year’s sale. 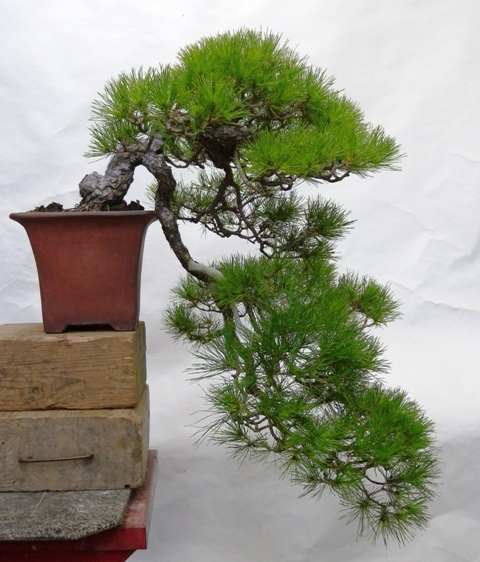 I took a fancy to it because of the aged bark and natural cascading character but at the time it was badly styled and had no obvious front. 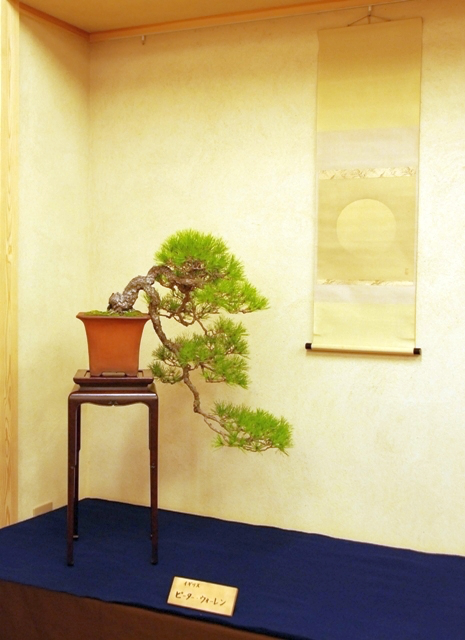 During discussions with a group of regular clients from Yokohama, I declared my undying love for the tree and suggested it to Mr. Tanaka, a man with similar tastes and who regularly asked me specifically to work on his trees . Discussing the front of the tree, the entire group except Mr. Tanaka and myself were adamant that the current back should be the front, which at the time, was the easiest tree to make, but as I explained to them in bad Japanese, it would have been a mistake as the best branch and trunk movement dictated the front rather than the poor position of the apex. 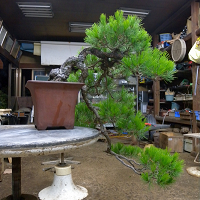 Mr. Tanaka agreed and after some easy arm twisting, I asked him to buy the tree and allow me to make the tree as we both saw it. After three years the tree had been transformed by pulling the apex around, developing the branches and building up a suitably airy amount of ramification and it was deemed show worthy. 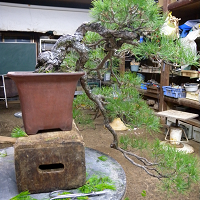 I was graciously allowed to use the tree as part of the Nippon Sakka Kyoukai show where it was displayed under my name. 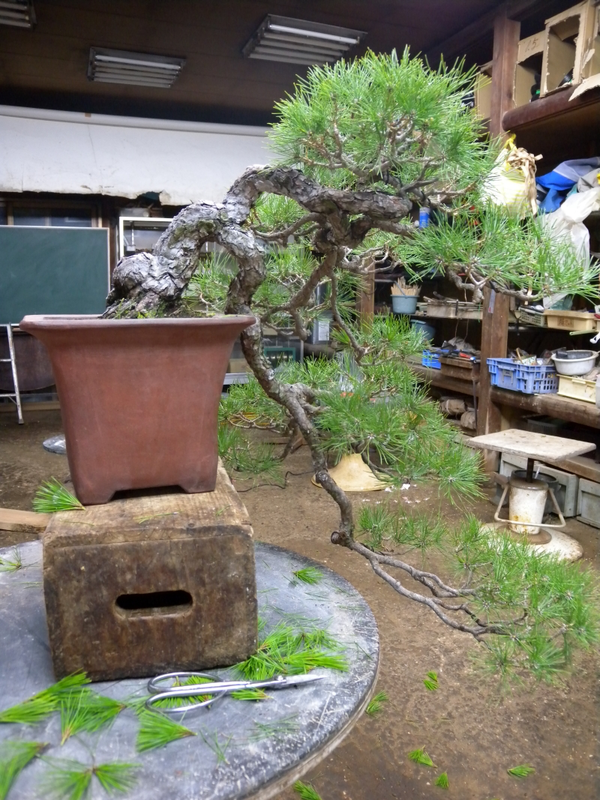 Sadly no pictures exist from the initial stage (naturally) but the gallery shows the tree being decandled one year and then displayed later the same year. 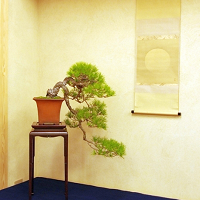 My styling for the show was complimented by all fellow professionals for it’s natural refined feel and minimal use of wire with only four or five minimal wires on the tree in the final shot. 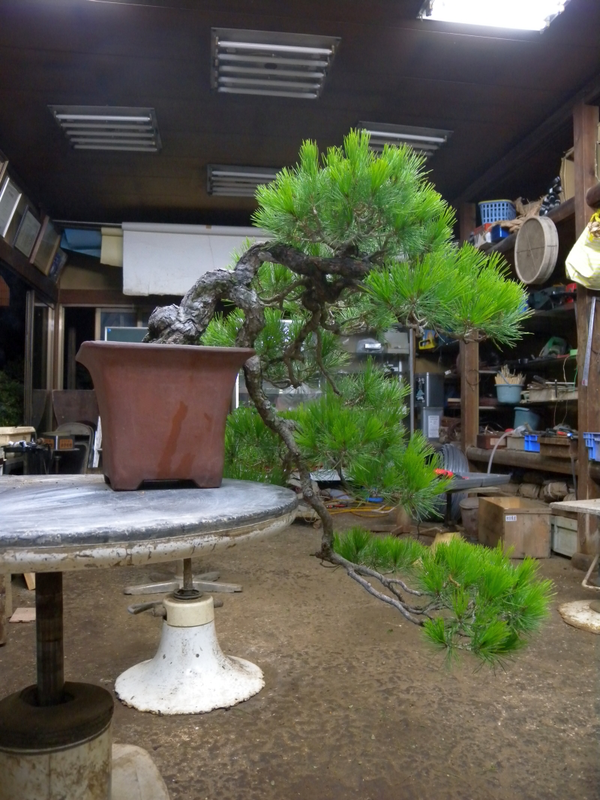 One of my favourite trees to have been a small part of, and I always go and see it when returning to Japan.